Spring has sprung at Raise the Bar and this week the challenge is taking you into the garden! Just create a card reflecting a gardening theme...flowers, tools, picket fences...you get the idea. I love this image by Mo Manning and had fun coloring her with Copics. After I finalized the card, I realized I forgot to add some "dirt" to her blue jeans! :-( The frog, seed packet and spade stamps are from an old SU set called Garden Pleasures. To give the frog some mottled texture, I dotted the image with a colorless blender. 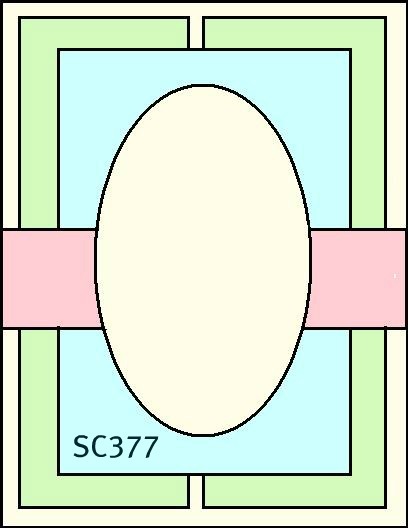 The layout is this week's Sketch Challenge on SCS. Hope you can join us in this fun challenge....hop on over (I'm toadally into the frog frame of mind - lol) to the Raise the Bar blog and see what the other bartenders have come up with for your inspiration! 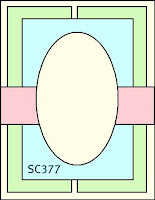 PAPER: Cosmo Cricket "Garden Variety" DP, Vintage Cream (PTI). Mo makes the most adorable images! Your coloring is fab, GF, and so is that dp!! Love it! 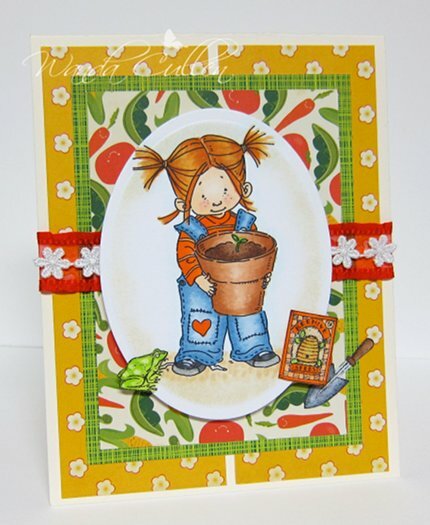 Wanda, this is adorable...your image & papers are perfect for the garden challenge. Perhaps she is just starting her gardening, and hasn't gotten her jeans dirty yet! LOL! My all time favorite DP!! I think I have a few scraps left, lol! Such an adorable card! Love it! What pretty papers you paired with this sweet little Mo image Wanda! So stinking cute Wanda! Love your coloring! Similar to the message I left Joni, this sure shines through to up here in my corner of Canada, Wanda! Brilliant colours.